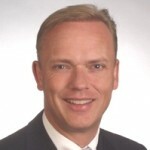 Rolf Rolf Engel has been managing partner of Munich Medical International GmbH (Munich) since 2009 and he is founding member and managing partner of MMI Schweiz AG. He is working as a financial and negotiating expert for both companies. Since 2005 he has been in charge of the consulting and investment company Reconom AG for venture capital, private equity and private equity real estate in Zurich. He is co-founder and Chairman of the Supervisory Board of IC International Campus AG, a real estate development company focusing on high quality student housing in Europe. In the United States and Germany, Rolf Engel has gained extensive experience in the international capital markets (focusing on international investment banking and venture capital) at various securities trading banks. In Miami, New York and Heidelberg he passed the exams NASD – Series 7 Exam, NFA – Series 3 Exam and NYSE / NASD – Series 8 Exam. Rolf Engel was a board member of Hornblower Fischer Bank from 1992 and CEO in Frankfurt from 1996. In 2000 he became a shareholder of the bank Oswald Kruber KG (now North Channel Bank). Before joining the investment field, Rolf Engel studied medicine at the LMU Munich, where in 1991 he received full medical approval. He completed postgraduate studies for the Executive MBA (University of Zurich with Yale University / New Haven, USA and Fudan University / Shanghai, China) in 2007 and for Real Estate Economist at the European Business School – International University, D-Oestrich-Winkel (2009). Rolf Engel currently holds mandates with International Campus AG, Munich (Chairman of the Supervisory Board), Hornblower Fischer AG iL, Frankfurt am Main (Chairman of the Supervisory Board), Murpy & Spitz AG, Augsburg (Deputy Chairman of the Supervisory Board) and Deutsche Realty AG, Zurich (Chairman of the Board of Directors, Partner). Rolf Engel lives in Switzerland. He is married and has three children.